If you were buying a full body silicone, which silicone do you feel is the most realistic? I have recently read some great information from Kris about the differences in silicone "shores" aka numbers. She mentioned that the harder the silicone, the better it retains the sculpt details. 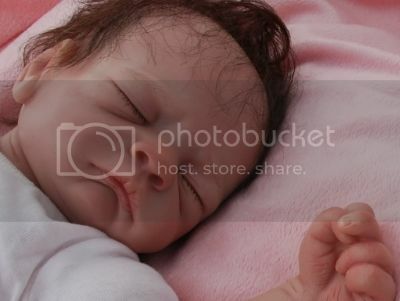 I have owned different silicones through the years and recently bought one that feels so soft to hold but her arms and legs do not feel realistic because there are no "bones", but she is precious laying in her cradle. I have noticed a lot of the newer babies are the soft silicone, but when you see their videos, the baby's arms and legs flop around. I am just curious which silicones others prefer. Thanks for your participation in the poll and feel free to make comments! We all like different types of babies and I respect everyone's thoughts and opinions. Eco 30 is the best for me. Soft, but arms and legs don´t flop around. I have Mia by Olivia Stone. She is EcoFlex 10. She’s very defined. She is also kind of compact, so there is no weird wiggling and is exactly the right weight for her size. I say this because I also have a couple of FBS silicones that are EcoFlex 20 and they seem heavy for their comparative size. I love the new really soft silicone but with armatures like my Sugar Britches Nursery baby. She's perfect as she's super cuddly and she feels SO realistic when holding her but her arms and legs dont' wiggle and flop around when you pick her up because the armatures are holding them in place. I like a mixture. I like the belly to be soft and cuddly eco10. I also am not a fan of floppy limbs and prefer eco20 limbs. Does the reborn world really appreciate the highest possible realism, like the poll question suggests? 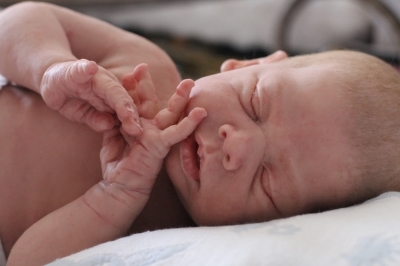 The softest silicone feels the most like real baby skin and flesh. But any human has bones, even newborns have. When very soft silicone wasn't available yet, something like a skeleton wasn't much wanted. But it is wanted now. If high realism is really appreciated, I wonder why inventions on that account are not. I noticed the introduction of a doll with a full skeleton here two years ago. It claimed that the skeleton prevents movements that can damage the silicone, which would be a real improvement if it were true. The introduction of that doll here was blown away with accusations that turned out to be not true, but never were apologised for. I love Eco Flex 30 ! Would still buy a baby that is made with Eco Flex 20 if the Eco Flex 30 was not offered. It all depends what baby steals my heart. I have two full bodied silicone in eco 20 and they are soft and lovely. I have a 30eco doll with cloth body, she is being painted at the moment. I think my other little 12" and 9" ones are eco 20. Thank you to everyone who participated in the poll and added thoughts and comments! 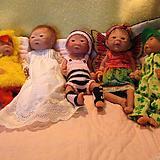 Isn't it great that we have so many kinds of wonderful dolls...?! ?